The penultimate round (R10) was a scramble for the lead, a catch-up, to maintain the lead and/or stay within the striking distance. 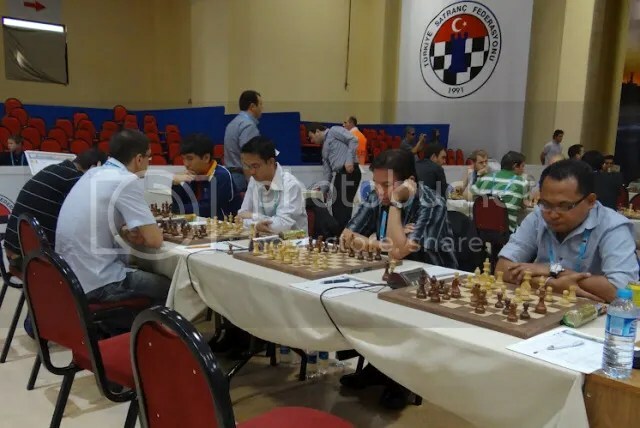 After the battle smokes of R10 had dissipated, three ‘Chess Titans’ in the Open section emerged as the leaders. China, Armenia & Russia with 17-match-points each. 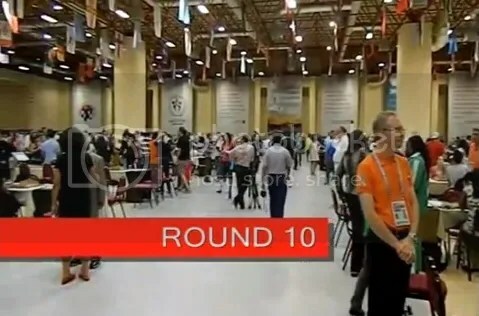 All three will be gunning for the 40th Chess Olympiad title as they face separate rivals in the Final-Round (R11). 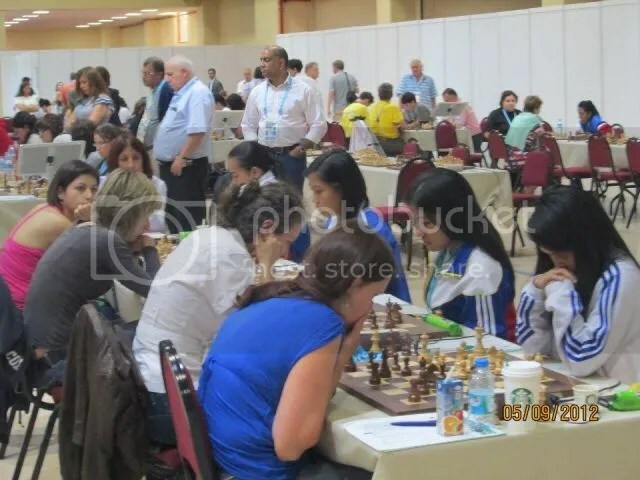 Ukraine, the defending champion with 16-match-points hopes to win against China and pray that Armenia as well as Russia either loss or draw their respective matches to stay in contention. 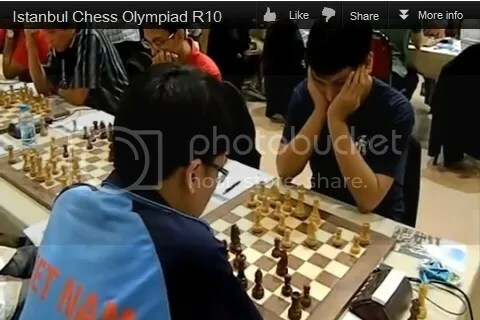 Team Philippines(Open) miraculous and incredible run in the Olympiad that was stopped by the ‘mighty titan’ China in R9, had to contain and drew all 4-boards with the also fast resurging #27 seed Vietnam who defeated Turkey & England in succession in R8 & R9. Both ended up tied at 2-2 game-points in R10, a +1 match-points, and upped their respective match-points score to 14 points good enough to share the 9th-15th places. 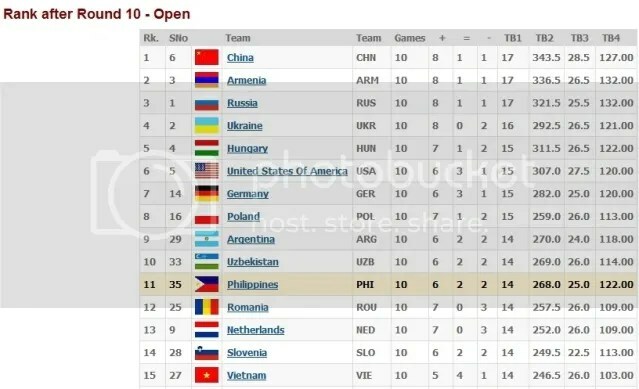 The Philippines occupies 11th place with a higher tie-break points and stay within the striking distance to its target of finishing in the Top 10. The Top 3 (China, Armenia & Russia) with 17-pts are already assured to land in the Top 7 even if it losses R11. The possible scenario is Ukraine wins @ Table1, Hungary wins @ Table 2, Germany wins @ Table 3 & either Poland or USA wins @ Table 4. If these would be the case Ukraine wins with 18-pts & the 6 other teams will be tied at 17-pts to assume 2nd-7th places. Ties to be resolved by tie-break points. Top 4 Ukraine with 16-pts after R10 possibly could figure out in the Top 3 if it wins Vs China with a final score of 18-pts. If it draws at 17-pts chances to land between 2nd to 7th place depending on the outcome of Tables 1-4. If it losses @ 16-pts chances to land between 4th-12th place depending on the outcome of Tables 1-8. 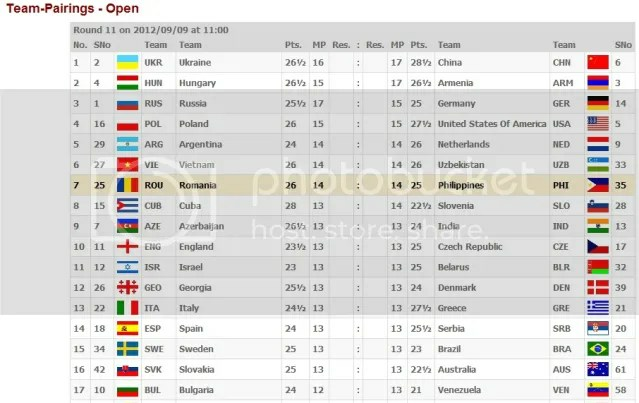 For Team Philippines(Open) if it WINS against Romania with a final score of 16 pts chances to land between 4th-12th place depending on the outcome of Tables 1-8. If it draws against Romania (2-2) with a final score of 15 pts chances to land between 6th-24th depending on the outcome of Tables 2-17. 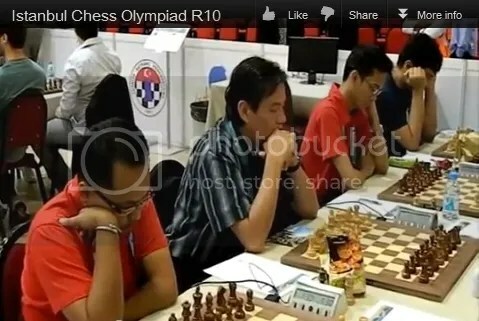 Therefore, Team Philippines(Open), now at 11th place after R10, could clinch the Top 10 and possibly equal or surpass the best ever Philippines’ 7th place finish in the 1988 World Chess Olympiad in Thessaloniki, Greece (28th Chess Olympiad) either with a Win or a Draw BUT a WIN in the FINAL ROUND would be the BEST ASSURANCE !!! napakagandang explanation naman nito. thank you very much.